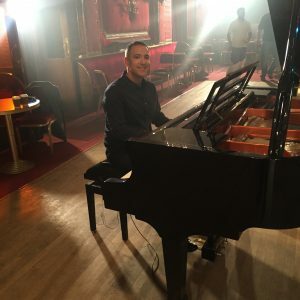 London based pianist Bryan Edery has enjoyed playing on our Feurich grand and upright pianos so much that he has asked us to become his official acoustic piano supplier. Bryan plays a repertoire of pop and jazz at private events, corporate events and weddings and has found that only the best will do. “Obviously nothing beats playing on a real piano. In venues where there’s no piano available – and where I think the client’s event could be enhanced with a top quality grand or upright piano – there is only one supplier I use, which is Thornhill Pianos. Not only is the quality of their beautiful Feurichs hard to beat, but Seb and Alexander are a real pleasure to deal with”. We look forward to supporting Bryan in his work in London and the Home Counties.